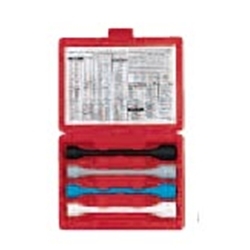 Four Piece TorqueMaster Starter Kit Ken Tool 30174 / BOWES KT 30174. Tighten lug nuts to factory specifications. Color and letter coded for quick size and torque reference.